Hi! My name is Jeff Stevenson and I work as an inspector with the Canadian Nuclear Safety Commission. In Canada we have several nuclear power plants located in Ontario and New Brunswick. After about 30 years of operation, refurbishment can extend the life of a nuclear reactor for another 25 to 30 years. We ask that the operator consider all possible safety improvements, including new technologies. Think of refurbishment like rebuilding a car or renovating your entire house, but on a much larger scale. During the refurbishment of a nuclear reactor, some typical components that are replaced include feeder pipes and pressure tubes. Other components like turbines and fuel handling equipment can be restored and reused. As Canada&apos;s nuclear regulator, we at the Canadian Nuclear Safety Commission, oversee all aspects of refurbishment projects: from the initial planning to when the reactor starts producing electricity again – to make sure that it is all done safely. One thing I should specify is that if an important safety improvement is identified before a refurbishment is planned, we&apos;ll ask the operator to do it as soon as possible or to implement acceptable mitigation measures. As part of the licensing process, we require that several technical assessments be performed before giving the green light to a project like this. Two key technical assessments are the integrated safety review and the environmental assessment. In a nutshell, the integrated safety review identifies possible improvements to safety systems. This is a rigorous and systematic process that looks at the reactor&apos;s current state and compares it against modern standards to identify what needs to be improved. The environmental assessment looks at the possible environmental impacts of both the refurbishment work itself and of the facility&apos;s long term operation for several more decades. The environmental assessment is very comprehensive. It includes studying potential impacts on water, animals, plants, air quality and the public. Before the CNSC will allow a refurbishment to proceed, the plant operator must show through this thorough environmental assessment that the environment, and ultimately the public, is protected. During refurbishment, the CNSC verifies that the changes and safety improvements made to the reactor are completed according to plan. Once all refurbishment activities are finished and our inspections are completed, we closely monitor the return to service of the reactors. Some of the main steps that require our approval before the plant can be restarted to produce electricity again include; loading fresh fuel in the reactor core, restarting the reactor and increasing power level above 30 or 50 percent, depending on the design of the reactor. Through each of these steps, we ensure that all required testing has been done properly. 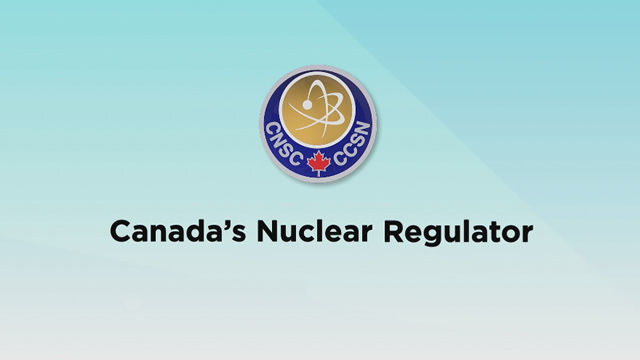 At the CNSC, we have extensive experience in regulating refurbishment projects. Five reactors have been refurbished in Canada, so far. We are also committed to continuous improvement. We exchange information with international organizations such as the International Atomic Energy Agency, to learn from others experiences. to enhance the safety of our own facilities.